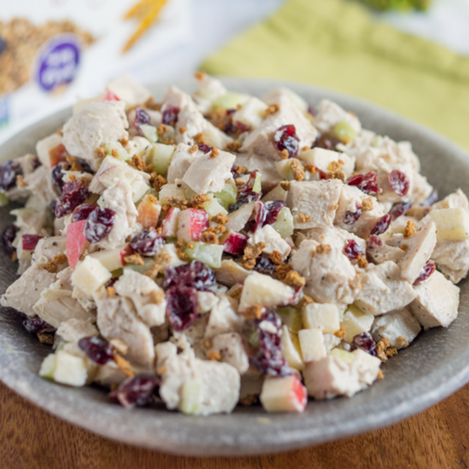 In a large bowl, combine chicken, celery, apple, mayonnaise, cranberries, Grape-Nuts, Greek yogurt, kosher salt, and a generous amount of pepper. Fold ingredients until well mixed. Chill the salad for a minimum of 1 hour to let flavors marry.